Last month, the USGBC NH Board of Directors endorsed the National Energy Innovation and Carbon Dividend Act. "The Energy Innovation and Carbon Dividend Act (H.R. 763) will drive down America's carbon pollution and bring climate change under control, while unleashing American technology innovation and ingenuity. This policy was also introduced in the Senate in 2018 as S. 3791." If you would like to personally endorse the bill, please visit The Citizen's Climate Lobby website. 84% of New Hampshire is forested. Every few years, we trade places with Maine for most woody biomass in the U.S. These trees are everywhere, and they define our everyday lives. Every fall, leaf peepers descend on the White Mountains to witness the multi-colored foliage of Red Maples and Paper Birches. As winter draws to a close, you may be burning the last of your White Ash or Red Oak in that wood stove. If you have a stand of Sugar Maple, you might be in your shack boiling down sap to welcome spring. When summer hits, we will be building houses with Fir and Pine. This is all very nostalgic (for me, at least), but our current experiences have not always been. For a bit more perspective, let’s take a step back in time. Near my home in Concord, you can walk through the Mast Yard, so named because the 2-3 foot diameter trees growing there were reserved for “His Majesty’s Royal Ships” back in 1800. None of these dense, old growth monoliths remain, nor would we have much use for them. On countless other trails, one may encounter mysterious rock walls weaving through the forest, marking the property lines of ghost farms that lie in ruins. By current appearances, one might think these farms are ancient, but virtually the entire state of NH was clear-cut for farming not so long ago. Maybe it was the rocky soil, maybe it was the promise of cheap land out west, or maybe it was a particularly bad growing season. Whatever it was, many farmers abandoned their lots, and mature forests stand in their place. More recently, entire towns were founded around the pulp and paper industry in the North Country. As paper demand decreases in the age of the Internet, many of these towns are not quite sure what to do. Like our forests, our use of wood is in a constant state of change. Maybe we can learn from these forests. In them, the species are diverse, lending resilience in the face of blight, drought, and fire. Likewise, expanding our portfolio of wood products can provide a buffer to unpredictable markets. So, what else can we make with wood? Well, it’s a mystery to me why we don’t make more engineered wood products such as PSLs, LVLs, or Glulams in state. We could make exterior rigid insulation out of wood fiber like the Germans currently do (also our friends in Maine soon). Why not fire up those paper plants in the North Country and start making composite counters? Check out Richlite and Paperstone. Instead of importing Western Red Cedar or Teak for exterior use, why not heat treat native trees right here? 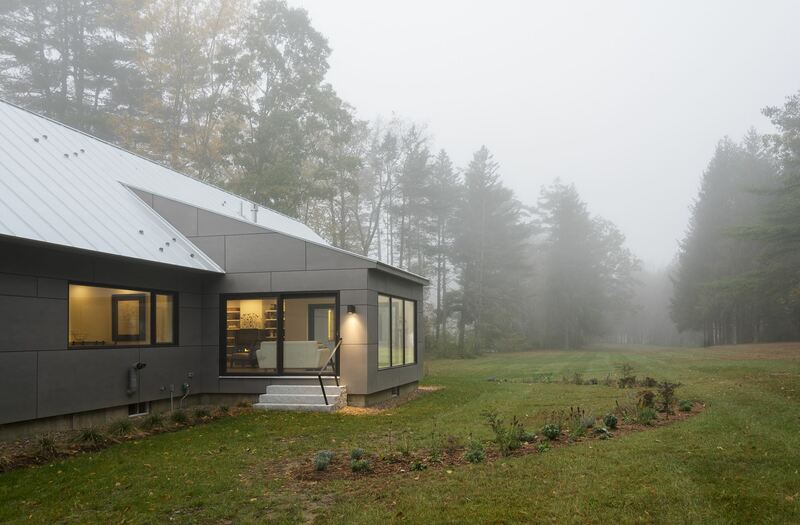 Cambia creates thermally modified wood right here in New Hampshire. Of course, there’s always the wood stove, but that’s not healthy, safe, or creative. We can do better. 1. There are no more gimme credits. You all know the ones I’m talking about. “Install a bike rack next to a freeway, get a credit”. “Find a LEED AP somewhere on the project, get a credit”. Well, the USGBC heard all the jokes... Now, bike racks require connections to bikeable paths. The LEED Accredited Professional credit now requires a critical role on the project and appropriate specialization. Sorry, legacy AP’s! 2. The easy credits have been consolidated into tougher credits. Stormwater Design credits combined to one. Heat Island Reduction credits combined to one. Reuse credits combined into one. Recycled Content, Rapidly Renewable Materials, and Certified Wood credits combined into one. Construction IAQ credits combined into one. Low Emitting Materials credits combined into one. Thermal Comfort credits combined into one. Outdoor Air Delivery Monitoring, Increased Ventilation, and Indoor Chemical and Pollutant Source Control credits combined into one. These changes have made every single one of these credits more meaningful, comprehensive, and streamlined. It also means you need to basically earn all the combined credits to get one. Where’d all my points go!? 3. Out with the old. Innovative wastewater technologies is nowhere to be found. If you’re going that far, you may want to check out the Living Building Challenge. Regional Materials is now just a multiplier for the Sourcing of Raw Materials credit. 4. In with the new. Integrative Project Planning credit rewards teams for early sustainability planning. Site Assessment credit rewards teams for a thorough analysis. Building-Level Energy and Water Metering now required, with reporting for 5 years (extra credits for sub-meters). Outdoor Water Use Reduction rewards projects for reducing irrigation. Cooling Tower Water Use rewards projects for efficient design. Demand Response rewards projects for participation in load-shedding programs. A Construction Waste Management Plan is now required. Building Life-Cycle Impact Reduction rewards projects for completing a Whole-Building Life-Cycle Assessment. Environmental Product Declarations (EPDs) and Material Ingredients (HPDs) reward projects for using products with a life-cycle analysis. It still stings to remember how easy the 2009 version of LEED was when doing some of this documentation. However, LEED is best viewed as a working, evolving set of guidelines. As markets adapt to these changes, new versions will challenge us to push the envelope further. With the proliferation of EPDs and HPDs in the marketplace, whole-building LCA models will soon become as common as energy models. Sub-meters and participation in demand response programs may soon be a requirement to “shave peaks” and reduce infrastructure costs. Flush-outs will become obsolete as we shift to using all low-emitting materials. These changes might not be as flashy as planting a green roof, but they might change the entire economy into one that’s a little closer to where we need to be. As the IPCC reminds us in their latest report, we have a lot of work to do. More than ever, we know how to get there. River House and Hillsborough County Courthouse! 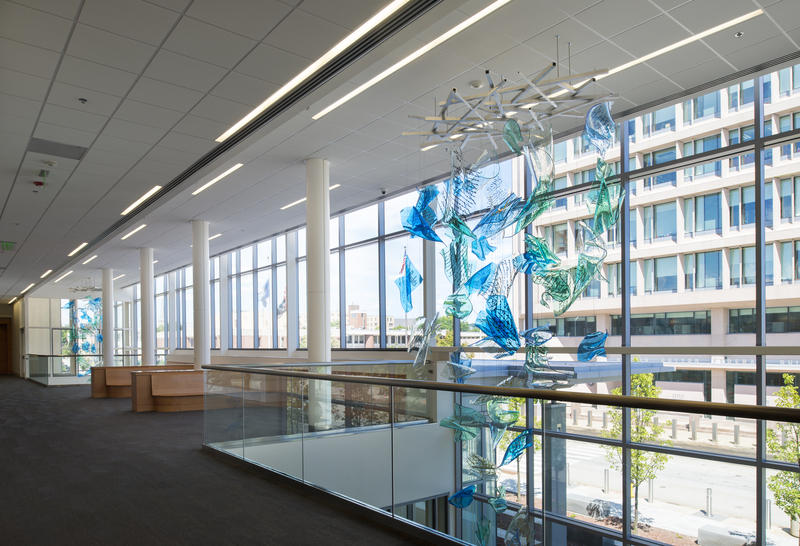 Both projects got LEED Silver this year, with 52 points. They were very different projects, but both leveraged re-use of existing buildings. 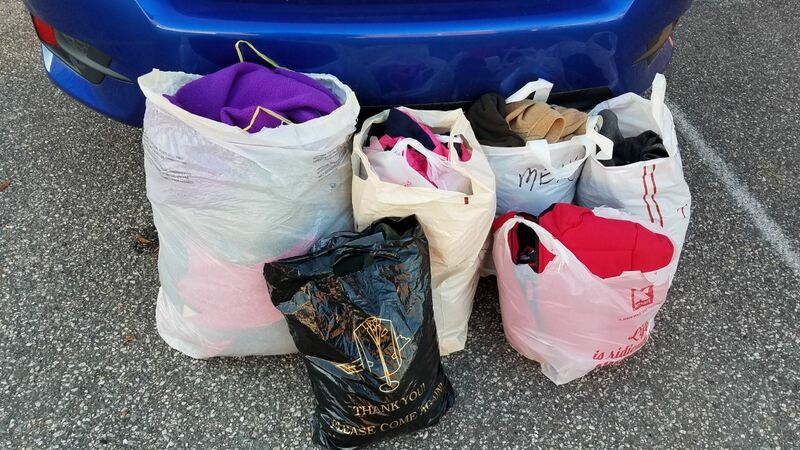 Also, we donated a bunch of winter gear to the Salvation Army. Great job to those who donated! In 2017, The USGBC NH Chapter presented their “Building of the Year” award to the New Hampshire project with the highest LEED rating, The Unity Home. This project achieved Gold certification, the only project in New Hampshire to do so last year. Because this is a pre-fabricated building, and the sites are unknown, many site-related LEED credits were not possible, which means the building design and construction were all the more impressive. What made this unique, repeatable project possible was the factory in which it was made, so we were all very eager to tour this impressive facility. Special thanks to Hans, our tour guide! Check for pictures here! We had a great turnout for the Annual Chapter Meeting at the Centennial Inn! Our esteemed president, Jeff Myrdek, gave a state of our chapter address, we presenting Building of the Year to Unity Homes, and made about $500 in donations to the Friendly Kitchen of Concord. If you were one of those who came out, find yourself here! Our USGBC Members came from all over the state to the Manchester Millyard Museum, where the director regaled us with accounts of early hydro power during the industrial revolution. The Millyard was a very different place then, with Canal Street actually being a canal, and world-class textiles filling the iconic brick buildings. 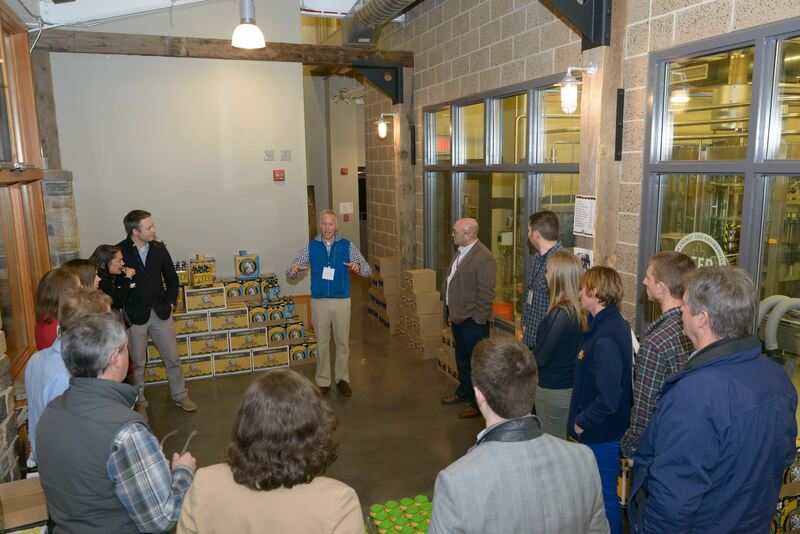 Everyone had different take-aways, but this USGBC member works in the Millyard, and was left in awe at the changes that can take place over such a short time. This year's Annual Meeting was a great success! 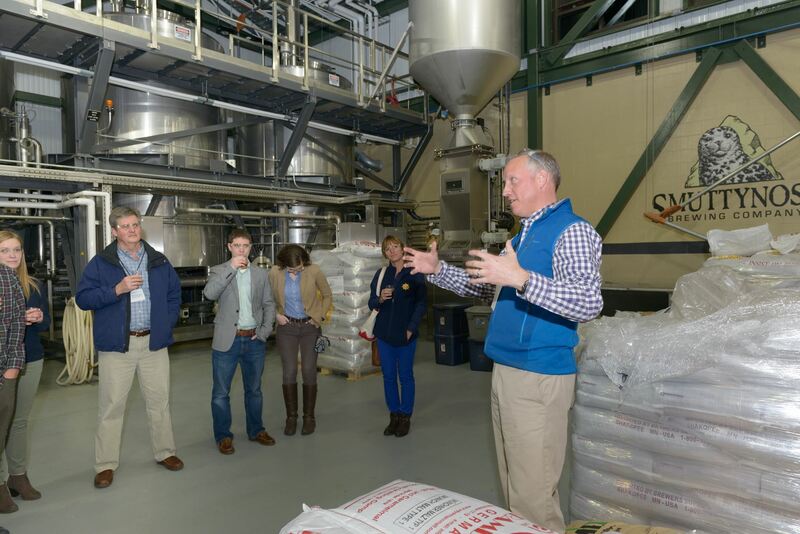 We were fortunate to have an excellent venue, which included tours of the LEED-Gold-Certified Smuttynose Brewery, top-notch food and drink, and, of course, some of the leading minds in sustainability all catching up. It's been an exciting year. 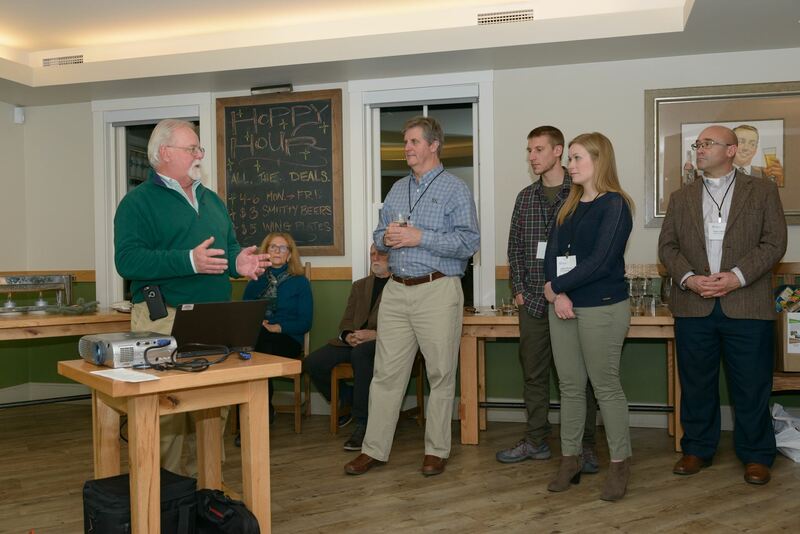 Rodney Bartlett presented the largest solar array in NH to the group, which powers the town of Peterborough. We saw why many cities and towns are now looking at this project with interest, and learned all about the many nuances of accomplishing such a large-scale renewable energy endeavor. 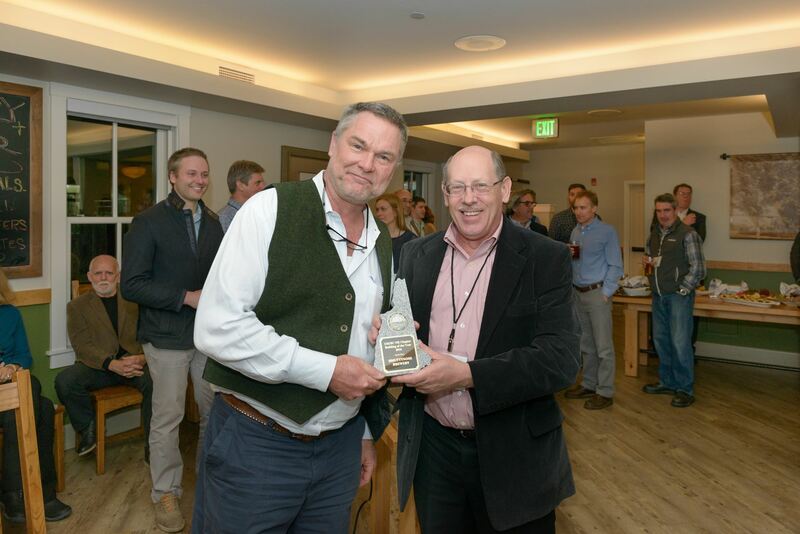 Next we presented our "Building of the Year" award to our host, Smuttynose Brewery! They really raised the bar, so to speak, and it was wonderful to be able to see what it takes to be on top during the tours. Great to end the year on a positive note, and I hope to see us do even better next year! Happy Holidays, everyone! This year's summit at our own Mt. Washington Hotel was a great success. Kudos to the speakers, who inspired us all to look to the future; our sponsors, who made this great event possible; and our participants, who will go forth and put all this knowledge to use! Check out this great video recap. We will post the entire broadcast soon.